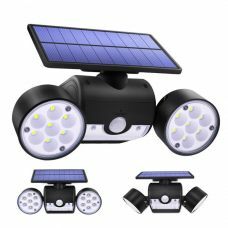 Waterproof 6 LED Pool Amphibious Spotlight is powered by Solar Power and does not require electrical wiring, cords, or any additional sources of energy. 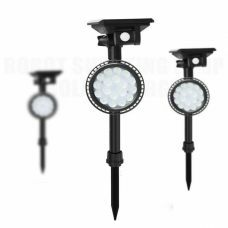 The light is energy-saving and environmentally-friendly product that provides lighting for a pool, pond, fountain or any other water filling objects and creates superior environment for the backyard of garden. 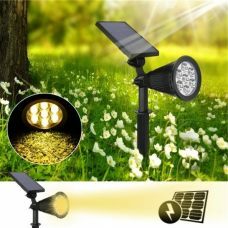 It has Automatic Light Sensor (day and night mode) which automatically turns the light ON at night and turns OFF at the daytime, so the light does not require everyday maintenance. 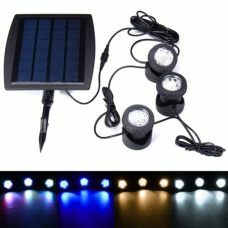 Ideal for: organizing lighting around the house, backyard, garage, garden, aisles, porches, patios etc. Product is perfect for illuminating decoration for a pool, pond, fountain or any other similar water places. 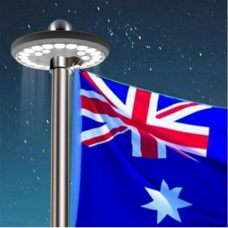 The light also could be used for industrial and business premises to light up particular areas with spotlight head. 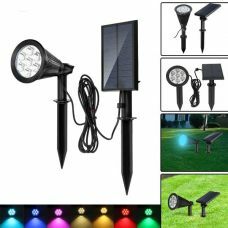 Who may like this: practical person who looking for highly-efficient and energy-saving way to organize lighting environment around the house at night time without additional costs for electricity by using energy-saving and environmentally-friendly Solar Power Green Energy. - 6 LED bulbs provide ultra-bright white light. - Highly efficient Solar Panel: no AC or DC power is required. - Environmental-friendly products, high energy conversion rate. - Automatic Light Sensor (day and night mode). 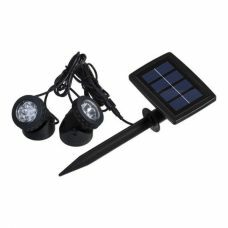 - Easy to installation, adjustable lighting angle. 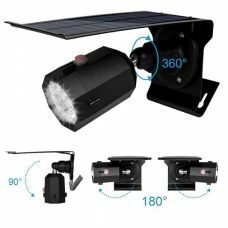 - Waterproof grade IP68 fully protects the light in the water. - Dustproof provides wide range of usage even out of the water. 2. The Solar Panel should be located where sunlight can fall directly on the panel. 4. 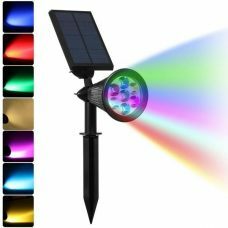 The spotlight is Solar Powered and the energy depended on the sunlight and could be affected by weather, seasons, places, etc. 5. 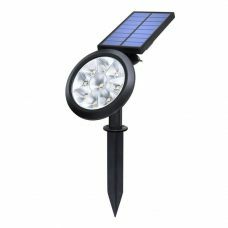 Please locate each light by insert the spike in the ground, choose a location where there is soft ground, the spike to be pushed in easily. 1 x Set of Stake. It is very good product, with excellent battery life that last for more than 7h in my case. The light is not very bright though, but that is what you can expect from just 6 LED. Delivery time was alright. No issues with packaging. The quality of this product is amazing and you can really put under water this lamp. I recommend this product.